Avengers: Age of Ultron — The sequel to the third highest grossing film of all time, built inside one of the most successful cinematic universes of all time is obviously a slam dunk. The fact that James Spader — one of the most wry, deadpan actors in Hollywood — is playing the villain, and will voice Whedon’s ultra-wry dialogue only makes it that much more compelling. The addition of Elisabeth Olson (as the Scarlet Witch) and Aaron Taylor-Johnson (as Quicksilver) doesn’t hurt, nor does our expectation that Whedon will likely kill off a character. For maximum devastation, it should be Tony Stark, but I suspect cooler heads (and Marvel’s money bags) will prevail, meaning it’ll be someone like Pepper Potts. Bah! 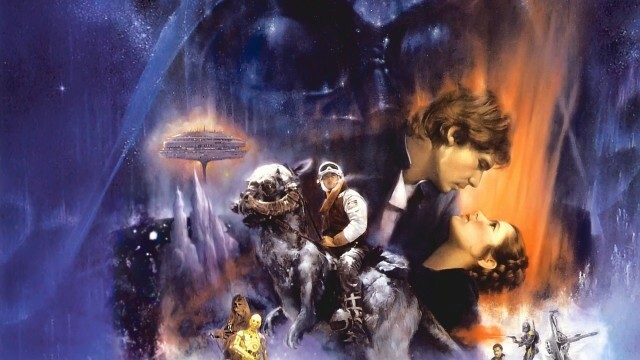 Star Wars VII — Here’s what we know about Star Wars VII: It will be a continuation of the series that will pick up 20 to 40 years after Return of the Jedi. J.J. Abrams will direct. Simon Kinberg and Lawrence Kasdan are tasked with screenplay duties. Carrie Fisher, Harrison Ford and Mark Hamill will almost certainly return. Chewbacca is probably in it. Saoirse Ronan has auditioned for a role, but according to her, “so has everyone.” John Williams will compose the score. It will be filmed in the UK. Really really gorgeous Hook/Emma video starring the couple that has the TV-watching interwebs ablaze.